The final result of the so-called greatest heavyweight bout in UFC history will now have an asterisk next to it. This was after Antonio ‘Bigfoot’ Silva tested positive for elevated levels of testosterone in a post-fight drug test in Australia after his December 6 fight against Mark Hunt in Brisbane. The bout’s result will be overturned to a no contest on Silva’s record and remain a draw on the official resume of Hunt. 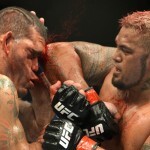 UFC president Dana White who believed the fight between Mark Hunt and Antonio Silva was one of the best fights of 2013 said he was bummed out as he loved that fight so much. According to a statement released by the UFC officials, all fighters on the UFC FIGHT NIGHT card were drug tested by an independent third-party laboratory at the event and all fighters passed their drug tests with the exception of Antonio “Bigfoot” Silva. The statement added although Silva is on a medically approved regimen of Testosterone Replacement Therapy (TRT), and had been in compliance with therapeutic guidelines on all pre-fight tests performed prior to the event but the results of his test on the day of the event indicated a level of testosterone outside of allowable limit. It was added that Silva has been informed that the elevated testosterone level is a violation of the UFC Fighter Conduct Policy and his Promotional Agreement with Zuffa. The UFC statement revealed that Antonio Silva will receive a nine month suspension retroactive to the date of the event and he must pass a drug test upon completion of the suspension before receiving clearance to compete again. It was further added that Silva will additionally forfeit $50,000 in bonus money and the forfeited bonus will go to his opponent Mark Hunt. António Carlos Silva, the Brazilian mixed martial artist who currently competes in the Heavyweight division of the UFC, had been medically approved for testosterone-replacement therapy and was expected to stay within legal limits at all times to continue using the treatment. Pre-fight testing showed the UFC fighter was in line with all parameters of the legal limits leading up to the bout but his post-fight test resulted in elevated levels of testosterone. This is the second failed post-fight drug test of Silva after he tested positive for anabolic steroids following a 2008 fight in the now-defunct Elite XC promotion. Silva tested positive for Boldenone, a steroid that has also cost fighters like Josh Barnett and Phil Baroni. He was then given a one-year suspension by the California State Athletic Commission and fined $2,500. Silva is the former EliteXC Heavyweight Champion, a former Cage Rage World Heavyweight Champion, and a former Cage Warriors Super Heavyweight Champion. He is presently ranked the #5 Heavyweight in the world by Sherdog and had competed in the past for K-1 Hero’s, BodogFIGHT, Strikeforce, and World Victory Road. Antonio Silva made his professional debut in the United Kingdom against Georgian fighter Tengiz Tedoradze and won by TKO only 48 seconds into the fight. Later on, he made his debut at the Cage Rage and became the Cage Rage World Heavyweight Champion and then made a return to Cage Warriors to fight longtime veteran Ruben “Warpath” Villareal for the Cage Warriors Super Heavyweight Championship and won again via TKO, and became the Cage Warriors Super Heavyweight Champion. In 2002, the Nevada State Athletic Commission (NSAC) due to testing positive for steroids use suspended Josh Barnett, 31, for six months. His post-fight urinalysis revealed traces of three anabolic agents, namely, Boldenone metabolite, Fluoxymesterone metabolite and Nandrolone metabolite. This was after he defeated Randy Couture at UFC 36, which earned him the heavyweight title. Despite the positive steroids test, he denied using any anabolic steroids, and even challenged NSAC’s testing protocol. Last July, he requested for a re-licensure and filed an appeal before the California State Athletic Commission (CSAC). However, on July 21, Barnett was notified by CSAC that he again tested positive for the anabolic steroid 2a-methyl-5a-androstan-3a-ol-17-one, in his pre-test supposedly as a pre-requisite to renew his license. A second sample was obtained, also reflecting the same results as the first testing. Last Monday, CSAC granted his appeal to extend his hearing. It was re-scheduled on December 8, 2009. According to CSAC Interim Executive Officer David T. Thornton, it was Barnett’s attorney, Michael DiMaggio, who contacted the commission to request for an extension. According to DiMaggio, their law firm is still awaiting additional information from the UCLA laboratory that conducted Barnett’s tests. 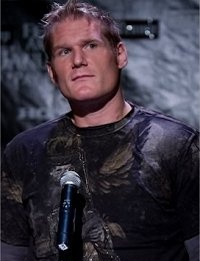 Mixed martial arts heavyweight fighter Josh Barnett is set to fight in US soil July 19 in Affliction:Banned. In said event he will face Pedro Rizzo, who defeated him seven years ago at UFC 85. In 2002, Barnett, nicknamed The Baby Faced Assassin left US for Japan due to steroid allegations. Barnett became the youngest UFC Heavyweight Champion in the organization’s history at the age of 24 after wrangling the title from Randy Couture by TKO. However, during a mandatory post-fight test conducted by the Nevada State Athletic Commission (NSAC) he was allegedly tested positive for the anabolic steroid Equipoise (boldenone). Subsequently, the newly-crowned heavyweight champ was stripped of the UFC title and had his license revoked for six months. However, there were reported violations of screening protocol and it was impossible to verify the results based on the original samples. Barnett called for another drug test, and came out clean. After waiting several months of without any final decision being made on his case he decided to relocate to Japan. Barnett’s upcoming bout is eagerly awaited by American MMA fans since his rematch with Rizzo will be just his second appearance in the U.S. since his victory over Randy Couture in 2002. Barnett is jus one of the many MMA fighters who got embroiled in steroid scandal. Tim Sylvia had also tested positive for the steroid Winstrol (stanozolol) in 2003. Sylvia was stripped of his heavyweight title and was also fined $10,000 by the NSAC. He later admitted that he used the steroid to lose weight. And then in 2007, Sean Sherk’s UFC lightweight championship belt was revoked/// when he tested positive for steroids in post-fight drug tests. Hermes Franca, whom Sherk successfully defended his title, also tested for banned compounds. After testing positive for nandrolone, Sherk was suspended and was fined $2500. 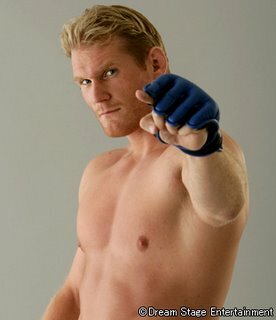 Josh Barnett will fight his long time friend Jeff Monson at Sengoku II in Japan. World Victory Road (WVR) is suggesting the fight will happen on May 18, 2008. Barnett is going to fight the guy who he was training with for years, Monson, because WVR couldn’t set up a match with him and another top heavyweight. Sengoku II will also see Kevin Randleman take on Ryo Kawamura (confirmed match), while Roger Gracie is only said to be a valid fighter on the card with no opponent announced. Josh Barnett tested positive for steroids before, so has Jeff Monson. In fact, one of the reasons Josh Barnett stopped fighting in the USA is because of his failure to pass drug tests, mainly for anabolic steroids. We don’t need to discuss Jeff Monson further then he’s a career time steroid user, who’s better off fighting in Japan where there are no drug tests. Lately, there has been a lot of talk about Josh Barnett facing Fedor Emelianenko as being a dream match. This has been reinforced with Fedor Emelianenko leaving M-1 Global and most likely fighting in Japan for DREAM. However, where does everyone get the idea that Josh Barnett “The Babyface Assassin” has the right to face Fedor Emelianenko. Josh Barnett “The steroid face assassin” lost to Antonio Rodrigo Nogueira and lost to CroCop 3 times! Let’s face it, his positive steroid tests aren’t gravy either. He’s testing positive for steroid use numerous times, last time in 2002 which resulted in him being stripped of his UFC heavyweight championship. Josh Barnett tested positive for Equipoise aka Boldenone , and instead of sticking it out , he left for Japan where they don’t test for steroids.